Cranberry belongs to the same family of berries as blueberries and bilberries. They are rich in a range of natural compounds and have a long history of usage. These days, they are cultivated all over the world and are often made into a juice. In order to capitalise on their therapeutic properties, extraction techniques have been developed to concentrate the goodness of cranberries into tablet form. Our 5000mg Cranberry tablets represent a convenient method of obtaining the natural qualities of cranberries without the unwanted sugar and calories that a juice provides. 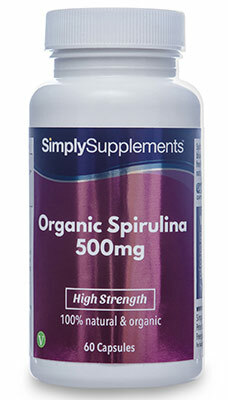 Simply Supplements Cranberry 5000mg is particularly popular amongst our female customers. 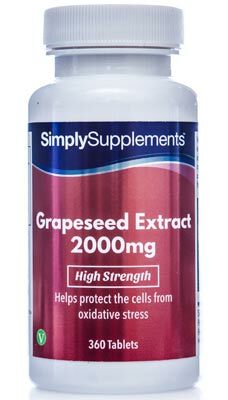 However, this product is a suitable choice for anyone who wishes to take advantage of the qualities that cranberries have to offer but cannot tolerate their bitter taste. 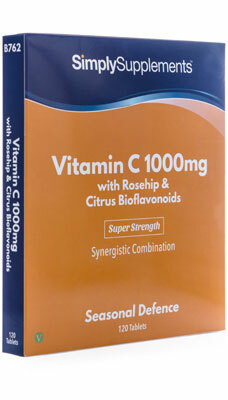 Each daily serving is also high in vitamin C, an essential component of the diet that supports a healthy immune system and the protection of cells from oxidative stress. 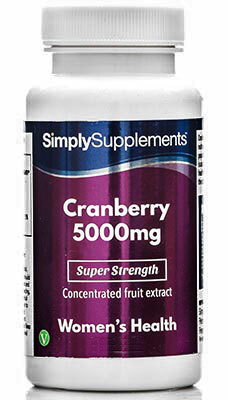 Why Choose Simply Supplements Cranberry 5000mg? A sophisticated standardisation process ensures that each tablet delivers a precise amount of highly concentrated extract. The berries used in the manufacturing process are 100% natural, resulting in an extract that is as close to nature as possible. State of the art techniques of production and quality control ensure that our Cranberry extracts provide superior purity and consistent potency in every single batch. Other Ingredients: Bulking Agent (Maltodextrin), Anti-Caking Agents (Magnesium Stearate, Silica). Take one tablet three times daily preferably with meals. 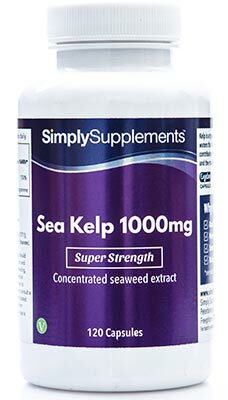 Take as a food supplement or as directed by a healthcare professional. Store in a cool dry place. Keep away from children at all times. Do not use if the seal is broken.